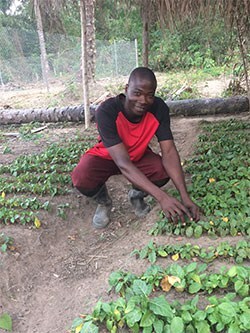 The World Vegetable Center conducts research, builds networks, and carries out training and promotion activities to raise awareness of the role of vegetables for improved health and global poverty alleviation. Vegetables can alleviate poverty by creating new jobs and new sources of income for farmers and landless laborers, improve health by providing essential micronutrients lacking in diets, enhance learning and working capacities of adults and children through improved diets and health, and improve the sustainability of food production practices by diversifying cropping systems. The Center’s research and development work focuses on breeding improved vegetable lines, developing and promoting safe production practices, reducing postharvest losses, and improving the nutritional value of vegetables. Research and development to realize the potential of vegetables for healthier lives and more resilient livelihoods. The Asian Vegetable Research and Development Center was founded on 22 May 1971 by the Asian Development Bank, Japan, Korea, Philippines, Thailand, USA, Vietnam, and the Republic of China (Taiwan) with a mandate to work in tropical Asia. The headquarters campus in Taiwan was dedicated on 17 October 1973. As the Center gained expertise and capacity, it expanded into sub-Saharan Africa, Central Asia, and South Asia. 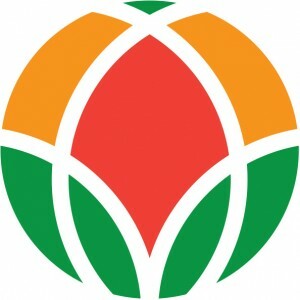 In 2008, the organization adopted a new name — World Vegetable Center — to reflect its global scope. Independent, non-governmental, not-for profit international agricultural research institute run by a management team that reports to an international Board of Directors. The organizational structure accommodates regional project management and efficient global coordination. National agricultural research and extension systems and nongovernmental organizations in developing countries; the private seed sector; research universities. With more than 61,235 accessions of 440 species from 151 countries, the World Vegetable Center genebank includes globally important vegetables such as tomato, onion, peppers and cabbage as well as more than 10,000 accessions of traditional vegetables. Often highly nutritious, these species are typically hardy and require less fertilizer or other costly inputs to thrive. Each year the Center distributes about 10,000 seed samples to researchers across the globe. Over the past four decades this has led to the release of hundreds of new vegetable varieties with particular impact in developing countries. 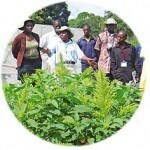 The World Vegetable Center is the only international agricultural research center with “development” in its mandate. Center scientists have applied research in collaboration with farmers to breed well-adapted cultivars and develop technologies to increase yields and incomes in developing countries. Millions of farmers today grow vegetable crops using seed or technologies developed by the Center. For four decades the Center has conducted breeding and agronomic research to adapt globally important temperate vegetable crops to the high temperatures and weather extremes of the tropics – conditions likely to be more prevalent with climate change. 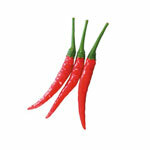 It also develops and promotes traditional vegetables that are already well-adapted to the extremes of tropical climates. The Center led the development of tropically adapted tomatoes and brassicas, which made production of these crops in the tropical lowlands possible for the first time. 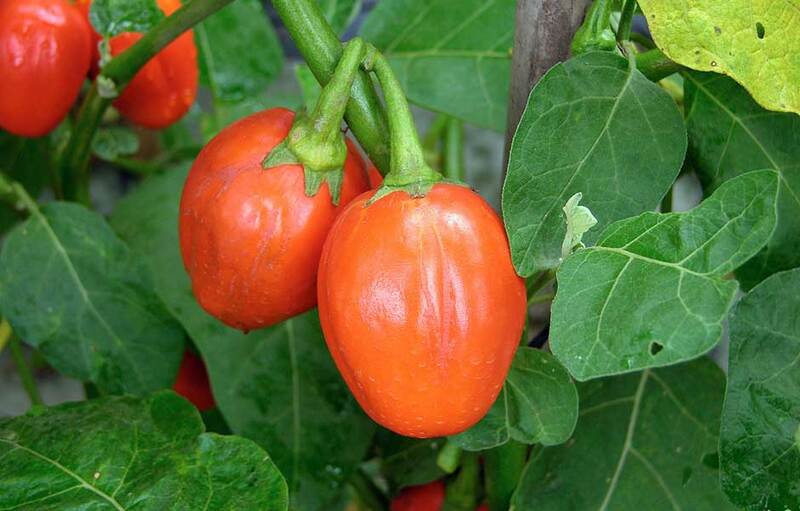 Its research on vegetable production systems to cope with climate change includes work on flooding and drought tolerance, promoting grafting of tomatoes, peppers and other high-value crops onto flood-tolerant rootstocks of eggplant and other vegetables, and developing raised bed and covered cultivation techniques to grow tomatoes in the hot-wet season. 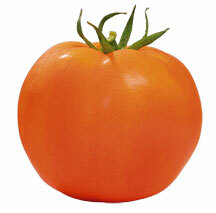 Genes from wild relatives of tomato that thrive in arid climates are being bred into commercial tomato varieties to improve their drought tolerance. Improving smallholder vegetable production and marketing skills can directly benefit women in many developing countries. 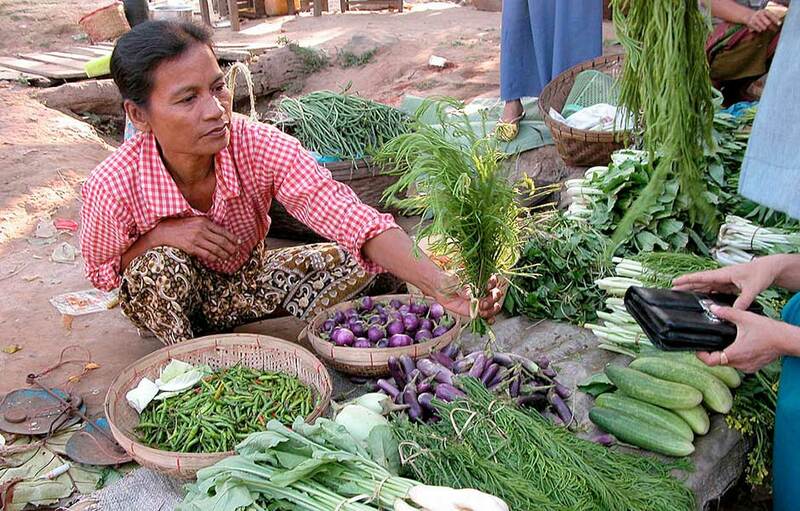 Women often are responsible for producing and selling vegetables. Women grow vegetables in home gardens for family use and for market sale, providing an important source of nutrition and income; vegetables often provide the only cash resource for women to use for the welfare of their families. Women are often preferentially employed as laborers in vegetable production, and have a major role in value-addition after harvest. The Center works closely with the health sector to overcome the effects of micronutrient malnutrition in developing countries, to promote the health benefits of vegetables as part of a balanced diet, and to develop the specific health-promoting properties of particular vegetables. Average vegetable consumption is well below the recommended minimum for good health in most countries of the world – both developed and developing. Although dietary supplements or biofortification can address micronutrient deficiencies in emergency situations, a more sustainable solution is to eat a balanced diet with sufficient fruit and vegetables. Vegetables are good sources of health-promoting phytochemicals that reduce the risk of obesity and chronic diseases, including diabetes, cardiovascular diseases, and cancer. The Center has released improved lines of tomato with enhanced nutritional values and is working on other vegetables with enhanced capabilities to reduce cancer risk and the effects of diabetes. Our dual focus on poverty and malnutrition differs from the missions of most other international agricultural research centers, which primarily aim to increase production and do not address the need for diverse and balanced diets. The drive to reach self-sufficiency in staple crops in many developing countries has neglected the greater nutritional, economic, and environmental benefits to be gained from more diverse crop production. There can be no food security without nutritional security, and vegetables have an essential role to play in balancing diets and alleviating malnutrition, in particular micronutrient malnutrition. Excessive use of cheap pesticides is a growing global problem affecting the health of farmers and consumers alike and causing major environmental damage. In South Asia, pesticide residues in food, especially vegetables, are extraordinarily high; surveys show that 50-70% of vegetables are contaminated with insecticide residues. Finding alternatives to pesticides can have a large impact on community health. The Center’s integrated pest management strategies to reduce spraying for eggplant fruit and shoot borer – the worst pest of eggplant – reduced pesticide use by 65–75% in Bangladesh and India, cut production costs by 30%, increased farmers’ incomes by 60%, and improved community health. Ongoing research explores the use of natural enemies such as parasitoid wasps and fungi to control legume pod borer and species-specific pheromone traps. A strong, dynamic private sector can be a powerful partner for development-oriented agricultural research. The Center works closely with the private seed sector and with companies in postharvest processing and integrated pest management. The private seed industry in Asia has grown rapidly and about three-quarters of these companies now use the Center’s lines. The Asia and Pacific Seed Association (APSA)-WorldVeg Vegetable Breeding Consortium, established in 2017, engages seed companies of all sizes in exploring advances in breeding and germplasm utilization. A similar consortium will be launched for Africa in 2018. In Southeast Asia and Africa, the Center has worked to develop small processing companies to add value to tomato and chili production. In India, after the Center proved the viability of pheromone-baited lures for eggplant pest control, local small and medium enterprises developed businesses to manufacture the traps. As more manufacturers became involved, the price of the lures dropped to an affordable level, and farmers, consumers, and the environment benefited. Based in Taiwan, the World Vegetable Center benefits from access to the country’s well-developed agricultural and horticultural research system, established universities, and high quality infrastructure. The support Taiwan’s institutions provide to the Center is invaluable. Proximity to the People’s Republic of China (PRC)—the world’s largest producer and exporter of vegetables—has allowed Center’s researchers to develop productive and pragmatic relationships with PRC scientists who have attended our training courses, shared germplasm, conducted collaborative research on vegetable breeding and disease management, and contributed to our conferences. The Center’s research has demonstrated to policymakers in Africa and Asia that vegetables are one of the most economical means of overcoming widespread vitamin and mineral deficiencies. Vegetable crops can diversify cropping systems to improve overall productivity. In Vietnam the Center studied the supply of vegetables in urban areas to advise on policies for food security and safety, and more recently has been working with ASEAN on Good Agricultural Practices for vegetable production. The Center facilitates global networks such as the ASEAN-AVRDC Regional Network for Vegetable Research and Development (AARNET) and the International Mungbean Improvement Network to shape policies and guide action on the development of the vegetable sector to strengthen economies and alleviate malnutrition. The World Vegetable Center is a member of the Association of International Agricultural Research and Development Centers (AIRCA), a nine-member consortium to promote sustainable agricultural production at a landscape level.